This week we’re headed back to the quaint New England town of Lovecraft, where magical keys are plentiful and wishing wells have dark shadows lurking at their hearts. Joe Hill and Gabriel Rodriguez bring us three short stories from the world of LOCKE & KEY. The first is a bittersweet but lovely story about a father and his dying son, and explores what you might find on the other side of the moon. The second has a much more familiar tone, and involves a group of criminals who think the family living in the big house on the hill will be easy pickings, but guns are no match for the Locke family’s keys. The third tale is a bit sillier, and plays more as a joke about the IDW publishing house than as a real story. 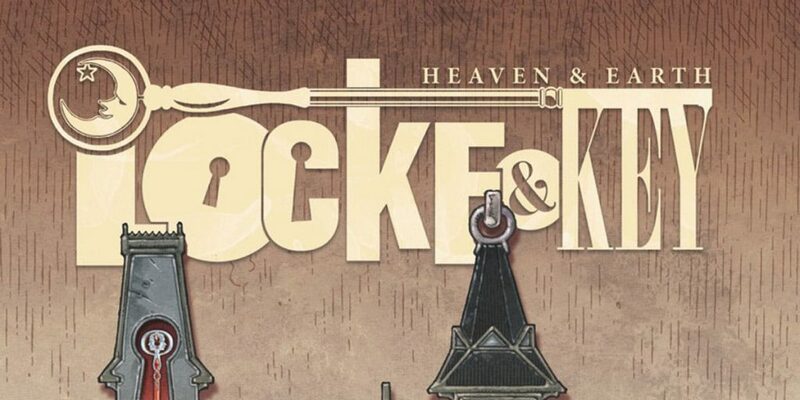 We discuss which story was our favorite of the three, our favorite parts of the original Locke & Key story, and the production of a Locke & Key show AT LONG LAST. Did you have a favorite story? And who would you cast to play the Locke kids on the new Netflix show? We’ll be busy crafting our own magical keys, to find a way to take us into the future when the show has already aired. Get this month’s comic here!